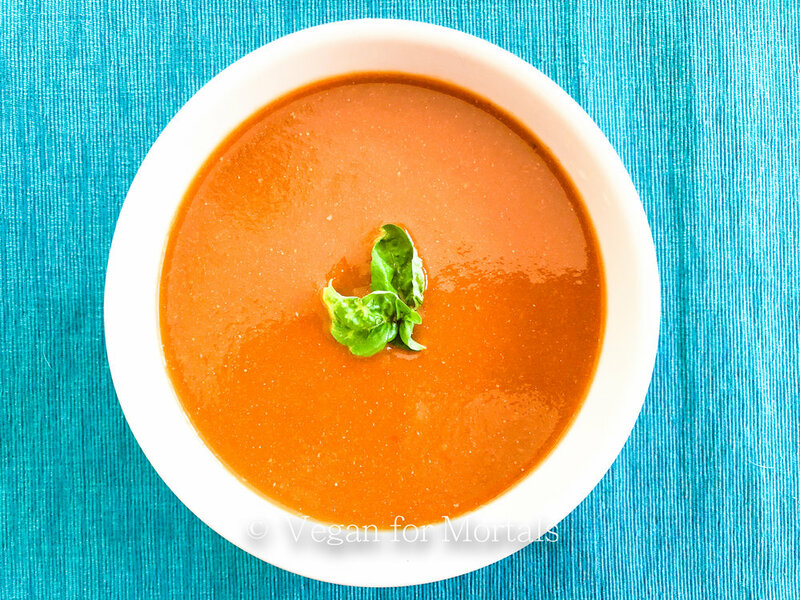 Add 1 chopped onion, 4 cups of chopped tomatoes, 1 cup of chopped carrots, 3 cloves of chopped garlic, 4 cups of vegetable broth, and 2 cups of almond milk to a large pot on your stove. Let cook about 30 minutes until the tomatoes and carrots are soft. Once the veggies are soft, transfer to a Vitamix, food processor, or blender and add in 1 can of tomato paste and 1 cup of fresh basil. Blend until smooth and serve!